Former umpire in Major League Baseball. He joined the American League's full-time staff in 1986 and worked in both major leagues from 2000 until his retirement following the 2012 season. Worked in 13 postseasons, including the World Series in 1998, 2002 and 2008. Worked the All-Star Game in 1992 and 2002. 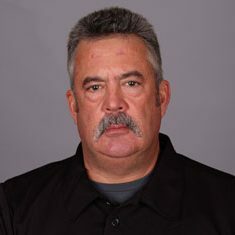 He was also the third base umpire for Kenny Rogers's perfect game on July 28, 1994, and the home plate umpire for Nolan Ryan's seventh no-hitter on May 1, 1991 and Carlos Zambrano's no-hitter on September 14, 2008. 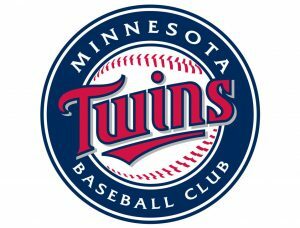 Some of my greatest memories from growing up in St. Paul was going to Dunning Field on summer nights to watch Dave Winfield, Paul Molitor and Jack Morris play in the American Legion Baseball league. We would hitchhike over there or ride our bikes over there after we played in our own baseball games. That was our fun—hanging around the fields. “I’ll buy you a can of pop,” my coach said. “Forget it,” was my answer. “Alright, I’ll buy you a can of pop, and I’ll throw in a cheeseburger at The Nook,” he said. “I’m in. I’ll take it,” I said. So, I did the game. It somehow turned into a weekly job. Eventually, I got so busy with umpiring that I would work a game in the morning, then another one in the afternoon, and then a men’s softball game at night. It was a hobby that kept growing. I got bit by the bug. As a player, I was good enough to get a uniform, but I wasn’t a good player. I knew the game well. I was well-coached, and I loved it. Umpiring became my thing. At that point, I thought if I could ever get to a State Tournament that would be great. I really didn’t know where it would lead me though. When I was 18 years old, a senior in high school, I umped in the big 10 at the University of Minnesota. I went to college at the University of St. Thomas after that. During my second year there, I decided to go to umpire school during January term where you take an independent class. Umpire school was in Florida, and it was a chance for me to enhance my skills and get better. I ended up finishing first in my class. After that, they offered me a job in the minors in the California League. 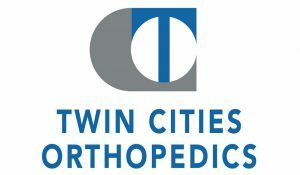 Now, I had another decision to make: Should I go back and finish the semester in Minnesota, or should I try this opportunity? I was 20. It was a big decision. Back then, I think the job paid $300 a month. It was more money than I had ever seen. So, I took the job. I didn’t know this at the time, but later a couple of minor league umpires told me that finishing first in umpire school and then getting offered in the California League was a plum job. It was a huge opportunity that a lot of people don’t get. I was in the California League for two years, and then in the Dominican Winter League for another two years. After that, I was banging on the door of the major leagues. I packed up my things, showered to get the tanning oil off, got dressed and headed to the ballpark to get my gear. I was on a 6:30 p.m. flight, which would land in Chicago at 6:30 p.m. I got to the park at 7:20 p.m., with the first pitch at 7:35 p.m. Everything went so fast. The Tigers played the White Sox that night, and Jack Morris was pitching. Where I grew up in St. Paul, Jack played Babe Ruth ball with my brother. And, I was the bat boy on a State Championship team where Jack pitched, so I knew him since I was a little boy. As I walked to center field and turned to face the huge scoreboard, it all sunk in. “Wow, I am here,” I thought. That’s when I started to get nervous. “Jack, I’m trying to get a job, so try not to be your usual charming self,” I said jokingly. A week later, I got called up to Milwaukee for a game there. I couldn’t script it. It was all pretty humbling. The balls, strikes, etc.—they all take care of themselves. What makes or breaks people in this profession is their ability to handle people under stress. It is my job to try to calm them down and keep the game under control. One of my mentor’s taught me that the louder a coach or manager got, the quieter I should get. Stay calm and stay grounded. I will disarm them without even knowing it. There’s nothing more frustrating than picking a fight with someone who doesn’t fight back. All of a sudden, the argument fizzles itself out. I’ve done my job. I never ejected anyone from a game, at all the levels I worked, that didn’t deserve it and wasn’t told ahead of time to stop. I warned everybody. I spent years building a reputation, and then spent years trying to prove I deserved that reputation. I learned from Rich Garcia, a former umpire, that I owed teams 100 percent effort every time I went out on the field. I did that until I retired in 2012. Practice, practice, practice. As a kid growing up at Edgcumbe playground, we practiced every day, from 1-3 p.m. in the heat of the summer. When I started umpiring games, I had to practice the same mechanics regardless of the situations, regardless of the score. I had to get to a point where my movements, positioning, and reactions became like muscle memory, just like when I was a kid. Umpires work every day. It was a job about habits. It was important to develop good habits from the start. Those good habits continue until the last game I worked.